British comic book artist Sean Phillips has his new artbook coming in December 2013. 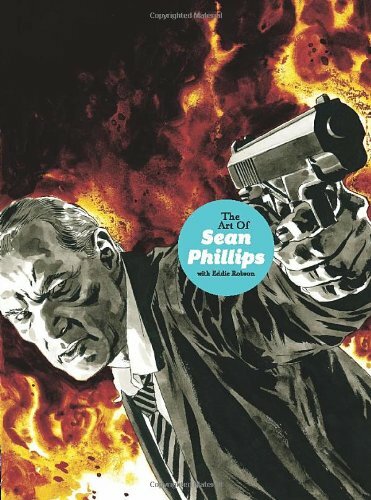 The Art of Sean Phillips is 312-page hardcover retrospective of the artist who has worked on titles as Criminal, Sleeper, Incognito, WildC.A.T.s, Batman, Hellblazer and Fatale. It will have photos, artworks and his early drawings from when he was just 15 years old. It will also look at career at Vertigo, Marvel, DC and WildStorm, and to his creator-owned series with Ed Brubaker. There will be interviews from him as well as his peers talking about him. It's an in-depth book on his work and career.